Homeowners are most likely to expect flooding to occur in spring or summer. Rainstorms catapult water into the temperate ground, and the warm weather allows the water to flow easily and without barriers. 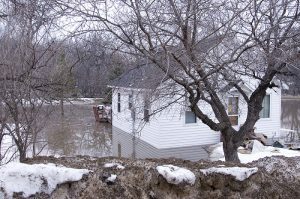 Residents who live in areas that are prone to heavy snowfalls understand that flooding is just as destructive in winter as it is in summer. Heavy snows mean torrential floods when the temperature rises. The melting snow around a home can easily navigate its way into cracks or gaps in a home’s foundation, causing floods that affect the home’s interior. Other porous surfaces and even window wells are susceptible to flooding. Sudden shifts in temperature can also crack a home’s foundation, just like rapid swings in temperature crack glass. When a home’s foundation is weakened, water can manage to seep into the home. Especially during winter’s fluctuating weather conditions, when water can seep into foundation cracks and freeze, homeowner’s benefit from being extra cautious to prevent winter flooding. Piles of heavy snow around a home’s perimeter can melt and intrude into your home. The melting snow can be likened to small rivulets that meander along convenient pathways, like those that lead into your home via tiny cracks in a weakened foundation. Prevent an interior flood by shoveling the snow away from your home. Snow from a home’s roof can flood the interior when it melts. Remove excess snow from your roof when the snow accumulates to form piles of two feet or more. Be careful when shoveling snow off your roof. Ice has a tendency to conceal itself beneath the fluffy white snow. While you’re clearing the roof of snow, check the gutters for any blockages. Gutters can become blocked from animal droppings, leaves, sticks and various other natural debris. A blocked gutter gives melting ice nowhere to flow. The sitting water causes serious structural damage to occur, like destroyed shingles, wood rot and mold growth. Also ensure the downspouts direct flowing water away from your home’s foundation wall. Clear away any snow that obstructs the drainage to allow the water to flow away from your property. A home that lacks proper insulation can emit heat through the roof; this escaping heat melts snow along the roof and forms pools of water. 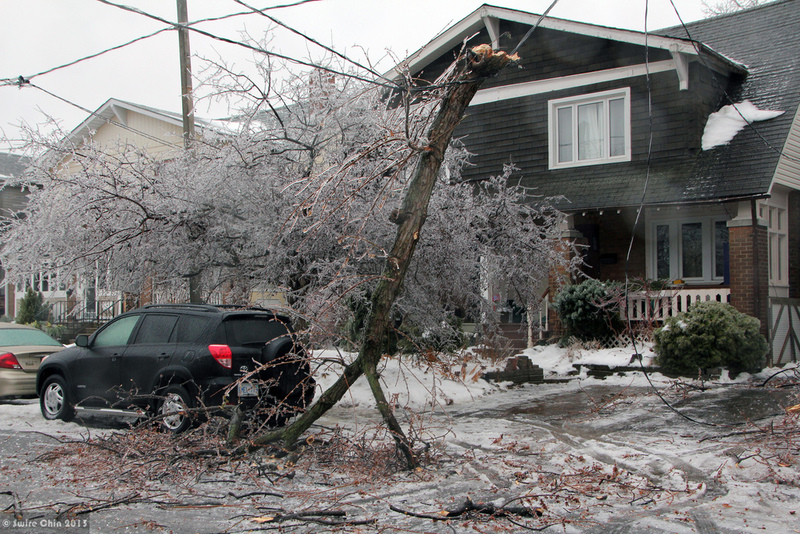 What comes with the next wave of freezing temperatures are known as ice dams. A water-soaked roof can spell destruction for your attic. Water from melting ice along your roof is likely to seep into your home, causing flooding. Prevent ice dams by properly insulating your attic. Ensure heat does not escape through the roof, which, when it does, is the primary cause of ice dams. A burst water heater in the midst of winter should be the last of a homeowner’s problems. Yearly inspections prevent the flood of water due to a broken water heater. Check for tiny leaks, accumulations of sediment, and the valves to ensure that they function as they should. Water heater inspections can be efficiently done by most homeowners. If you’re in the market for a new water heater, a tankless water heater is a homeowner’s dream when it comes to energy efficiency. Water in a tankless system is heated on demand, instead of being stored inside a tank. Lacking the presence of a tank, the tankless water heater eliminates all possibility of flooding. While you’re examining your home’s water heater for any potential problems, inspect your plumbing system too. Exposed pipes located in the unheated areas of your home, like the attic, basements and under sinks, should be fitted with insulation. Effective insulation can be as inexpensive as a quarter-inch of newspaper to costlier pipe sleeves intended to encapsulate water pipes and prevent freezing. The pressure inside the pipes causes them to rupture in subfreezing temperatures. Broken pipes can release enormous amounts of water within minutes—up to 250 gallons per day. You can avoid pipe breaks and catastrophic flooding inside your home by turning on the water faucets to your sinks so they steadily drip small amounts of water. 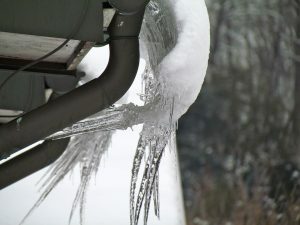 The trickling water continuously running through the pipes is less likely to freeze. 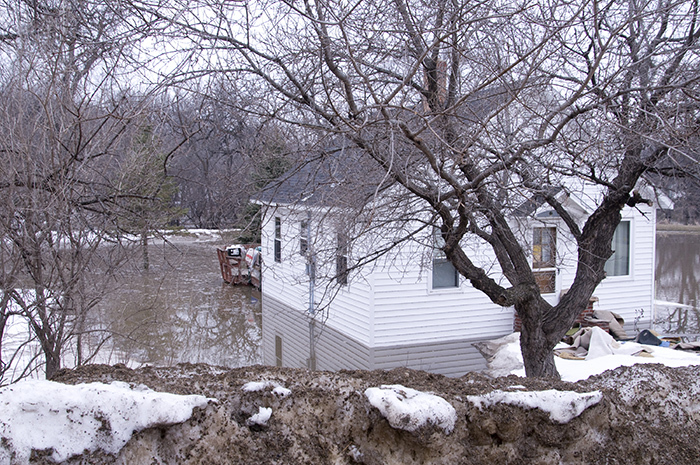 When winter snow melts, the water will run along the ground in close proximity to your home’s foundation. A functional sump pump is necessary to eliminate the excess water. Considering winter offers no rest for flooding, make sure your home’s sump pump is in good working order before winter weather sets in and even during the cold season. Even the smallest of leaks can signal a concealed problem. Pay attention to the presence of lingering, musty odors, discolored walls and mold or mildew that point to a water issue. Call a plumber to inspect the leaks. You may just avert a sudden, major flood. Unexpected winter flooding can, on occasion, unleash its torrential destruction, even if you’ve done everything to prevent it. When water seeps into your home during the winter season, all is not lost. Flood and storm damage repair technicians are skilled and equipped with the necessary tools to restore your home to its original, pre-flood damaged condition. 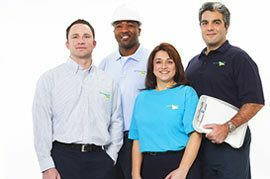 ServiceMaster Restoration by Complete serves the residential and business communities in the Staten Island and Brooklyn areas of New York, as well as Somerset and Middlesex counties of New Jersey, with complete flood and storm damage restoration services. Our technicians utilize advanced water extraction equipment to thoroughly dry the flooded areas on your property. 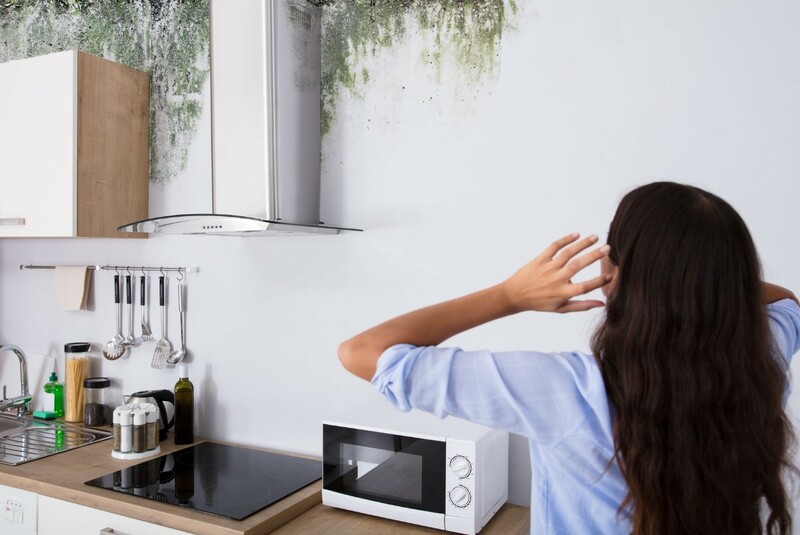 In addition to drying the affected property, our specialists disinfect the spaces to eliminate bacterial growth, mold spores and hazardous microorganisms that may be present in the flood water. Severe weather conditions like storms, or interior causes of flooding like burst water pipes, necessitate professional services to clean up the excess flood water from inside the home. 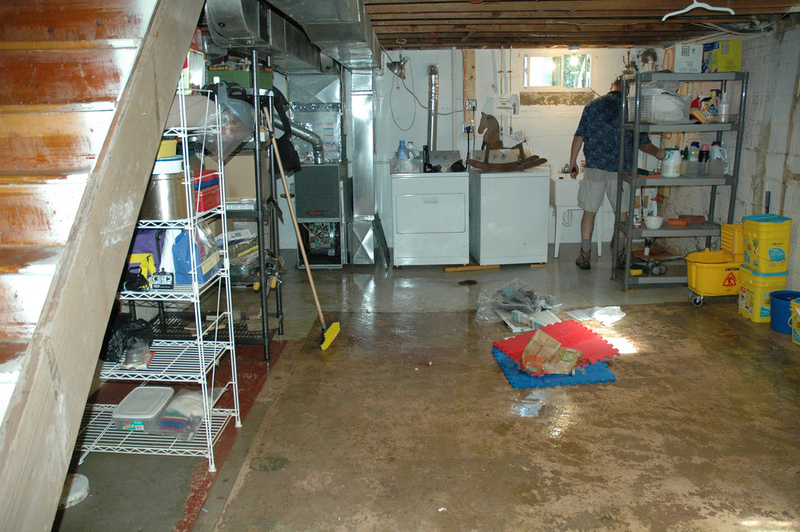 Floodwater is highly destructive, since it permeates into drywall, flooring and other porous materials. Contact ServiceMaster Restoration by Complete as soon as possible after the event to prevent any additional destruction associated with flooding, including mold growth and bacterial contamination to your property.